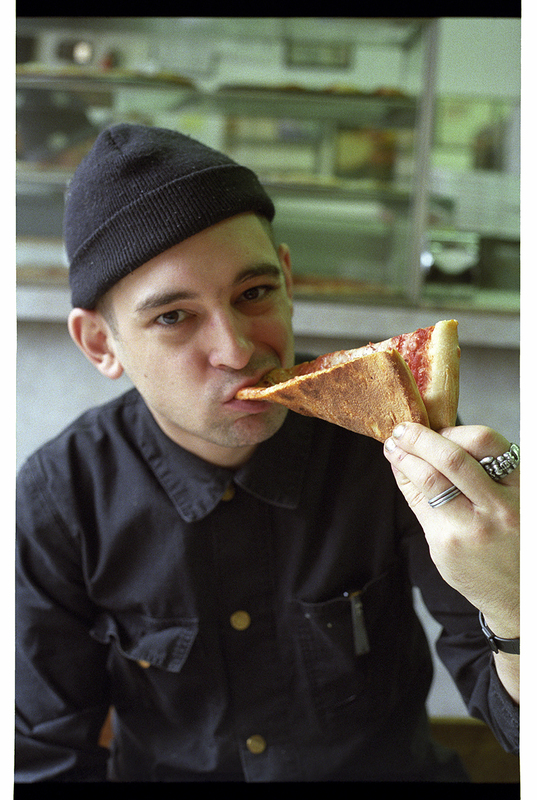 When a twenty-something punk rocker eats a cheese slice from every pizzeria in New York City over the course of two years, he also gets sober, falls in love, and starts a blog. He is the Slice Harvester, and “everyone has something to gain from this tale of blackouts, almost burning out, and too-burned crusts” (Newsweek). In August 2009, Colin Hagendorf set out to review every regular slice of pizza in Manhattan, and his blog, Slice Harvester, was born. Two years and 435 slices later, he’d been featured in The Wall Street Journal and the New York Daily News and on radio shows all over the country. Suddenly, this self-proclaimed punk who was barely making a living delivering burritos had a following. But at the same time Hagendorf was stepping up his game for the masses (grabbing slices with Phoebe Cates and her teenage daughter, reviewing kosher pizza so you don’t have to), his personal life was falling apart. A problem drinker and chronic bad boyfriend, he started out using the blog as a way to escape—the hangovers, the midnight arguments, the hangovers again—until realizing that by taking steps to reach a goal day by day, he’d actually put himself in a place to finally take control of his life for good. “In this entertaining memoir, Hagendorf mashes up that journey with the topics of addiction, family, punk rock, nostalgia, and love….Full of drinking binges, colorful characters from the punk scene, and random asides, like comparing a slice to Anthony Kiedis, the narrative takes readers on a roller-coaster ride” (Publishers Weekly). 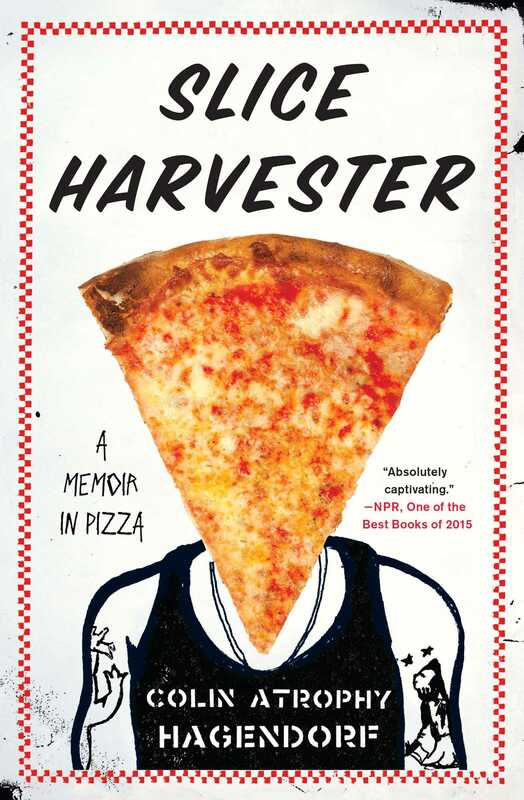 One of NPR’s Best Books of 2015, Slice Harvester “stands out from the pack…wry, witty, surprisingly insightful. Hagendorf veers from the profane to the profound in the same sentence…about chasing ideals, romantic as well as culinary, and how that can be both noble and annihilating” (NPR Books). Colin Atrophy Hagendorf is an adult punk rocker and aspiring long-term sober guy. He loves eating pizza, working to dismantle systematic structures of oppression, and carefree afternoon naps. He collects obscure riot grrrl 7"s and 70s paperback editions of Sam Delany novels. He lives in Queens with three cats.